It’s Halloween so what better day to cover the story of self-administered blood transfusions in the pro peloton? It’s more sinister than the tale of Britons burning a giant effigy of Lance Armstrong. But if the tale is ghoulish and rightly frightening, there’s no fancy dress costumes or children’s games. Hell, there’s not even team doctor on hand. It’s real. Once upon a time the introduction of a test for EPO should have been a great change for the sport but, as suggested by Tyler Hamilton, within no time it seems Dr Michele Ferrari found a way to beat the test. It wasn’t foolproof but instead of injecting the banned hormone under the skin to leave the molecules lingering in the body, the innovative idea of injecting the product direct into the vein arrived. It would provide the same blood-boosting effect but leave the body faster, reducing the “glowtime”, the period during which, if tested, they could be found positive. Only things changed when the sport decided to increase out-of-competition testing and adopt the WADA ADAMS system. This is software system and database where athletes have to specify a one hour slot per day when they can be tested and give sure details on the location, normally the full postal address. In other words, exactly where they can be found during the one hour slot. Thus even mainlining EPO became risky because of a knock at the door. There was a small adaptation to this in that riders quickly learned that drinking a large volume of water could dilute the samples taken. But this was still risky. To this day there’s no test for it but there are some ways to second guess it is being used. But we’ll come to these in a moment. For now just know that because EPO could be discovered it was proving risky and so blood transfusions became popular with some. Tyler Hamilton’s book and the USADA documents talk of sophisticated doping programmes with an international network deployed where private jets shuttle riders to doctors, hotel rooms are booked for the sole purpose of draining off blood and motorbikes with refrigerated panniers are deployed to smuggle goods. When you read this it sounds like they’re going to great lengths, they could probably smuggle radioactive materials or illegal diamonds with these trick when in fact all they’re doing is little more than a technique first done in 1665 by Richard Lower albeit on canine patients. Skip the late 1800s and whole transfusions were being done on humans, no coincidence that Bram Stoker’s “Dracula”, published in 1897, makes several references to blood transfusions. By the 1930s several countries had blood banks, after adding anti-coagulate agents, blood could be stored for a few weeks. In other words this is old science, at least in the basics, and private jets seem excessive. It might be Halloween but that’s probably enough detail for now. The takeaway is that riders like Bertagnolli were doing DIY blood transfusions in their kitchens and bathrooms, no need for private jets or big medical crews, just a home transfusion kit. He says Ferrari even advised him on what fridge to buy, getting a special medical-grade unit that would store the blood at the correct temperature, lower than your household fridge. Blood chilling. The complicated part seems to be the manipulation of blood values so the rider can fool the bio-passport. Bertagnolli says Ferrari advised him on the timing, to extract blood just before going on an altitude training camp and then to re-infuse upon return, this way any swings in the values can be attributed to the the training camp rather than a bag. Similarly Ferrari was concerned about reports of a new test for plasticiser residues, something that was apparent in the Contador case. As a result Bertagnolli is told to use polypropylene blood bags which are apparently harder to get, or to use glass containers. This way no residues will contaminate the samples. Perhaps this story horrifies but if it feels too clinical for you then note Bertagnolli was himself scared of the risks of infection long before Riccardo Riccò was rushed to hospital in February 2011. Riccò apparently confessed to medical staff that he’d infused blood that was 25 days old. Whether it was the age of the blood or a storage problem is not known as Riccò later changed his story. But he’s not alone, Tyler Hamilton reports how he fell ill during the Tour de France after a bad bag and we can only wonder how many others have experienced this, perhaps more when it is done in the kitchen. There are two happy endings here. First Bertagnolli has been explaining all of this in great detail and the Italian media have got hold of this for all to see so we can hope the anti-doping authorities learn more from the methodologies. One example would be to think twice about spending a lot of money to test of plasticisers because the cheats have moved on. Second Bertagnolli might have tried to mask his activities with altitude training camps but as hinted on here before, teams might camp on a mountain but rarely stay high enough to get any useful effect. Certainly Bertagnolli was caught out and this summer he was called in by the UCI to explain his strange numbers, a prosecution has been ordered but there’s no result now. A ghoulish story of chilled blood but if Halloween is once a year, these practices have been happening during much of the cycling season in recent years, it is impossible to imagine Bertagnolli has a lone case. If you’ve read The Secret Race or the USADA depositions then this story is more scary because people are taking these risks at home where anything can happen. It’s also a lesson in how anti-doping controls have a waterbed effect: push down in one place and something moves up elsewhere. In this case bring in more testing and the methods of injection changes; bring in yet more testing and the whole method changes. There’s also a secondary point. This story isn’t exclusive, instead the Italian media has information like this but it’s not getting relayed. For example whilst many where shocked at the “revelations” of a potential tax dodging, money laundering and doping ring in Italy this was first told back in 2011. And if things are to be believed, the horror stories look set to continue. Scary stuff for sure. If this is true then it shows how widespread blood doping has become. It’s true, at least it comes from a sworn deposition given by Bertagnolli on 18 May 2011 to the court of Padova. Are there riders for whom blood transfusions don’t equate to their idea of ‘external help’? Scary stuff indeed. Could this also explain some of the ‘food poisonings’ that always seem to happen during the grand tours? Obviously many of these cases are truly improper food handleing but maybe not all. For sure but remember the body is tired in a stage race and riders are hungry and thirsty and sometimes too tired to think of hygiene so as you say plenty comes down to problems in the kitchen etc. Also quite possible that the immune system isn’t a big fan of Grand Tours. Food poisoning and riders with ailments are as old as the Tour and older than blood boosting. They can be a symptom of doping (teams have played the ‘dodgy fish’ card several times over the years) but as other posters have pointed out, the body is under an enormous strain during a GT. You don’t have to resort to doping as an explanation. Seems like a good call RJA. Ever notice how many cyclists are sick…have stomach bugs, food poisoning, digestion problems, viruses, etc. These are some of the fittest people in the world that should be watching food consumption closer than anyone else, yet half of them are sick all the time? I think half of them are doped all the time and still are. 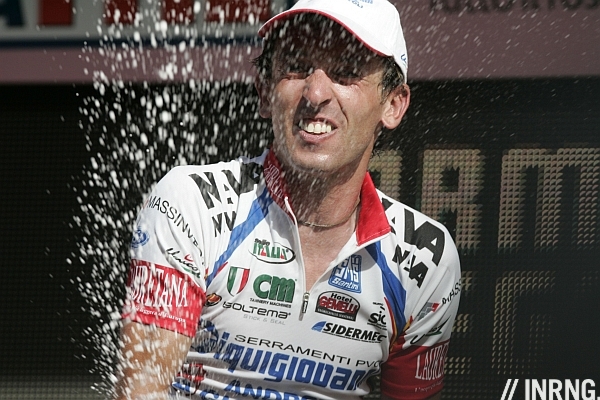 The idea of cleaner peleton is a farce now as much as it was following Festina. We can see some suggestions that things are better, for example the climbing speeds and power outputs have dropped substantially. Even those who are determined to cheat just can’t cheat as much as they or their predecessors could a decade ago. And as we see, even Ferrari’s clients are being caught not. Not that is perfect but a farce is probably too strong a term to use. This. It’s easy/understandable to be cynical but undertaking a casual bit of research will show you that power/climb times on the key final climbs on the big mountain stages (i.e. fatigued riders going flat out) of GT’s are indeed well down on what they were say 10 years ago. I’m not saying the battle is won by any means but it’s not all doom and gloom. I”m a bit surprised that you refer as an insider to climbing speeds and power outputs. Since a few years the bad guys (scientists and riders) are aware of that so called ‘proof’. This is ‘passé’. The focus in doping is not longer the maximal speed, or the different ‘cartouches’ in a climb. No Epo in massive doses anymore. It’s all about recuperation. As a result of the latest dopingmethods which are very difficult to ban. Speak to top riders, runners and swimmers. It’s coctail time now. Have a look at the last two Tour de France. The way they were won. Obvious no ? It calls to my mind a very good piece on the Sport of Science website during the Olympics, in that case in relation to the remarkable performances of the Chinese swimmer Shiwen. It puts it any awful lot better than I ever could. You can read it on http://www.sportsscientists.com – Olympics recap day 4 posted on the 1st August 2012 and under section 4 of that post. I would tend to agree with that assessment – I’m not saying anyone is definitely clean or doped and of course questions should always be posed but personally if I were to walk down that path I think I would struggle to enjoy any sport ever again. It’s possible things go on but speculation. But I’ve seen power data too and it is significantly lower than a few years ago. So like I say even those who want to cheat are finding there’s chance to do it. If it is all obvious, share the methods or feel free to send a confidential email. They’re also trying to lose as much weight as possible whilst doing massive amounts of training and/or racing, so they’re immune system is under constant stress, always on the borderline between healthy and unhealthy. It’s not that surprising that they occasionally get sick. There are cases of riders faking injury and illness but many more cases of actual health problems. As we see, riders are in a pretty fragile state. When an athlete reach his peak form, he is very prone to any infection. The body is pushed to the very limit and this is the result. You are able to perform at the top level, but on the other hand your immune system is weak. A bit of a paradox for sure. It’s hard not to think that taking one repository of doping expertise out of the sport entirely – Michele Ferrari – would dramatically improve the situation. It might be a bit of a simplification, but busting one perpetrator (see BALCO, for example) can have a dramatic effect. With Ferrari and Fuentes gone, surely that’s a significant blow to transfusions? If Ferrari is nearly in jail, why not offer him a plea and salary to work for USADA/UCI etc.? The guy makes more money now doping riders, if he could make more working for the UCI and stay out of jail…the testers might get ahead for awhile, eh? It was Conconi who developed the test for EPO, no? Remember these men see only the science, not the moral applications. I’m not sure he’ll end up in jail. He says he’s innocent and it should take time to get on. But were this to happen it seems very unlikely he’d suddenly explain everything he knew for the greater good. What does it mean for Ferrari or Fuentes to be “gone” from the sport by being banned, when what they were doing was prohibited and happening on the sly to begin with? It’s not like all the dopers had open relationships with them. If I were Ferrari or Fuentes and I got banned, maybe I’d sell my knowledge to other doctors instead. Cute, but Ferrari is greedy and arrogant. Can you believe that he would work for the authorities and *not* also assist favoured clients? If anything it would drive his price even higher. Sorry, meant to reply to Diceman (post above TourComments). What was not mentioned is the fact that Hamilton was caught because he had SOMEONE ELSE’S BLOOD circulating in his bloodstream. In his book he felt he was duped by his doctor, in that the doc (Fuentes? can’t remember) had a lot more clients than he claimed, and worse still, possibly mixed up the labels of some of the blood bags. Thus, Hamilton may have had a transfusion reaction due to blood type incompatibility. He (as well as Manzano) are very lucky that they didn’t die from the reaction. Has there ever been any analysis with regards to the prevalence of mononucleosis amongst pro cyclists. Prevalence might be a bit strong but the impression is of a higher rate versus wider population. Could questionable transfusions be to blame? ‘bring in yet more testing and the whole method changes.’ True, but this is an old, less preferred method that they fall back on. I think it shows the testing is effective. And we know the blood passport testing can be even more effective with more frequent tests. It also suggests to me there is no new ‘wonder drug’ around yet. If they could just take a pill without all the hassle and risk of flying blood bags around the continent they would. Gastone Nencini was reported to be transfusing in the 1960’s so there’s nothing new here, though the thought is as gruesome as inserting a catheter to “install” clean urine to beat a dope test. Probably no way to prevent individual riders from cheating until the age of red blood cells can be reliably determined, but at least the organized team programs and corrupt officials who look the other way could be prevented? Are you saying those altitude camps that are not actually at altitude are to mask the passport controls? Not necessarily but when teams visited Etna they were staying at an altitude that was near-pointless for the beneficial effects. But since we know this presumably those watching the biopassport would know it too, any rider presenting an anomaly couldn’t just say say “I was on Etna” because the reply should be “well this would not change your blood much”. But going by what Bertagnolli says in times past these camps have been exploited. Plus the remote location means out-of-competition testers are unlikely and can be spotted from afar. The Saxo-riders were upgraded in the new build nuclear reactor. Mt. Etna’s not exactly remote. Don’t forget Campagnolo flew a plane load of journo’s to Catania awhile back to demo their EPS groupsets. Dope testers wouldn’t have a tough time getting over there. Using altitude training as an excuse for changes in biopassport details is clever, but the reviewers have probably already caught on to that scheme. As someone pointed out, how long before we start hearing about instances of the gene doping schemes? Interesting. Any Medicos out there that could speculate what the investment cost of determining and then modifying such genes would entail? Is this something that is already being done outside the spector of sport? If so, what is the cost of gene manipulation alone? See the link below courtesy of Tovarishch. Genetics and epigenetics are big areas of pharmaceutical research now. Thanks for the ghoulish, but true, tales. While I’m sure there are riders still doing EPO and blood transfusions, the really crafty ones are on to the next thing. I’ve heard of manipulating genes or something like that. Anyone know what that’s about? Sounds really expensive, for a start. The good news is that DNA is reasonably easy to manipulate and PCR is a technique that can be used to fish needles out of haystacks. There will be fewer vectors than therapies, so screening for evidence of engineered viral vectors will go a long ways toward detecting genetic manipulation. A short course in molecular biology is a bit much for the comments section of a cycling blog. My short translation: even if the products of gene doping might be hard to distinguish from the body’s own, there are probably ways to find remnants of the method. Compare it to plasticizers that can be detected even if the blood transfused is your own. It’s funny I was talking about this with my friends via email this morning, As I was reading the Michael Ashenden opinion on the Contador CAS appeal. I speculated that as INRNG has pointed out previously Pro Cyclists may not be the most intelligent bunch of people in the world, however I would speculate that teaching someone how to infuse blood for example wouldnt be that hard. I mean, lets face it Soldiers do it in the field, in the middle of Iraq or Afghanistan for example with a fire fight going on. What I find surprising is that there are not that many stories of Infusions gone bad for example. Apart from the Ricco incident and the incident that Tyler talks about in his book. At the end of the eighties and the beginning of the nineties a couple of young riders died because of assumed heart attacks. We have about 1000 professional riders. The chance of (a) infusions gone bad and (b) us knowing about it, remains relatively small even when the stories we hear are amateuristic and Bram Stoker. And do not forget the Wellens-case last winter. In 2008, Greg LeMond was championing a testing protocol based not on blood, but on power. The idea was that by tracking power from the whole peloton, dopers could be identified based on their performance and/or power to weight ratios. The data would be obtained using encrypted power meters, so the riders privacy would be protected. Would this work? I think it could. It’s evidence, yes. FDJ’s coach Fred Grappe has been calling for the same power profiling too. Sudden jumps in power would be hard to explain. But my fear is riders would react to this and the cheats would avoid maximal efforts in some races so that nobody had to see their threshold power until the Tour de France or other target race appeared. That’s why it’s a useful tool to look for things but not enough to convict or more on. Interpreting power data would be complicated to catch cheats. Power data gathered in race conditions would not let observers see a rider’s objective thresholds; it would just show “efforts.” As such, these data would let us compare, for example, a five minute climbing effort in June to a five minute effort in July (very different than a five minute structured interval/test). The closer those efforts are in power, the less suspicious a performance, so riders would not want to hold back (as INRNG suggests), unless the data analyst also has a mandate to consider the context of the race and subjectively determine when the level of effort put in by the rider during the two efforts is motivationally equivalent (by what? facial expression?…hard to see that working) and, if that was the case, a rider might hold back in June to be able to say, “In June I was just riding it in, but in July I was going for the kill.” Becomes game theory pretty quickly. Sure would be fun, but hard to see convictions come from it. Blood transfusion : That’s why so many riders have rare blood infection that last weeks and months. The state of the BMC super squad was quite sad this year; as you pointed out, I believe both Evans and Hushovd suffered from forms of lingering ‘viral’ infections, and Gilbert only just emerged from his slumber in time for some Vuelta stages and the Worlds. What fans observe as oddities may in fact have perfectly reasonable medical explanations, so it’s certainly no means to indict teams or riders. As stated above, their bodies are pushed to the brink throughout the year. The fact that you hear of riders with tooth problems (again, Gilbert comes to mind here) struck me as strange until you think about their diets and constant eating both on and off the bike. High profile riders get studied more, simply because it matters more to teams when they are sick. If you evaluate a person in detail, and can tell from various tests that they were sick with an infection but can’t find a smoking gun, you’re pretty much left with attributing it to a virus. And frankly, that’s probably valid most of the time. There are many uncharacterized viruses floating around, and unless they’re one of the big ones with public health importance, it’s not easy to figure out what the infectious agent actually was. Most people have subclinical viral infections once in a while, and maybe just feel punk for a week or two and never know why — or maybe they don’t even notice. If you’re a top athlete, it gets reported, studied and speculated about. Bike riders do get sick a lot, but that’s true all the way from juniors up through pro’s. If they’re training a lot, they are probably immunosuppressed, and if they ride in groups they get a lot of exposure to everybody else’s bugs via aerosols. As regards to the science – wouldn’t you also need a blood spinner to separate the red cells from plasma as well as the fridge mentioned above? You can have a transfusion of either whole blood – just the way it comes out of your arm – or ‘packed cells’ which would need to be spun down. It’s not clear to me which these guys were mostly doing, but I think it was just straight up whole blood. Hamilton goes on about the ‘new’ top-of-the-line technique he was starting to employ towards the end of his career in which a special additive was added to the blood in order to allow it to be frozen. This was a huge advance, as the blood dopers had a large logistical nightmare trying to build up enough fresh blood stores for big races given the short half life. Hamilton describes often withdrawing 2 units of blood and then transfusing one of his previous bags to get him back up to a state where he could train. Later, they’d take two more out and put back in one, and so on. But with the advent of freezing, he could donate ostensibly over the course of a year and not have to worry as much. However, this meant the blood had to be mixed carefully with the additive. I wouldn’t be surprised if this is how he ended up getting his ‘vanishing twin’ as the scale and complexity of the operation skyrockets. Also, his blood guy was having all sort of mental/emotional issues and could never seem to remember Hamilton’s secret code to mark the bags. In hindsight, it’s amazing that we didn’t see a rash of riders go the way of Ricco. 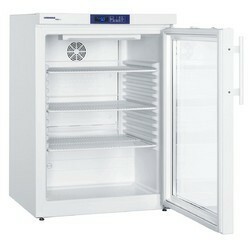 BTW, the additives to be able to freeze spun down blood cells are plasticizers, hence the investments in tests for it. And, yes, they should develop one. Next post: Should Wiggins Skip The Tour de France?